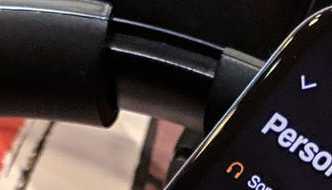 A new app from a Latvian outfit called Sonarworks claims it can tune music to play perfectly through specific headphone models. So whether you’re using AirPods or a swanky pair of $900 Auduze LCD-2s, you’ll hear the same exact mix. Could the future of making music sound good be an app that compensates for the terrible headphones most of us insist on buying? For the last few weeks, I’ve been trying a beta version of Sonarworks’ True-Fi software on both Android and iOS. The apps are a mobile version of the headphone calibration software that’s existed for the desktop since earlier this year. After spending much of the year in closed beta, Sonarworks is now opening the mobile apps to an “early access” public beta, with the goal of a full release next year. A lifetime license for the desktop and mobile apps currently costs $79 (and will go up to $99 next year), but for the next few months during the early access period, the app will be totally … [Read more...] about Can This Little Magic App Make Your Headphones Sound Perfect?